A joint report calls for a bold vision for housing policy and a new path to housing stability for low income and vulnerable families. Washington, DC – (RealEstateRama) — The National Low Income Housing Coalition and the Public and Affordable Housing Research Corporation (PAHRC), both leaders in affordable housing research, released a new report today, Balancing Priorities: Preservation and Neighborhood Opportunity in the Low-Income Housing Tax Credit Program Beyond Year 30. This report raises the question—what will happen when almost 500,000 homes built through the Low-Income Housing Tax Credit (LIHTC) lose their federal affordability requirements? LIHTC is the largest national affordable housing program in the U.S., having contributed nearly three million rental units to the affordable housing stock since it was created in 1986. In less than 12 years, nearly half a million current LIHTC homes will reach the end of their federally-mandated affordability restrictions (Year 30). Without these mandates, some of these homes will be lost from the affordable housing supply as they convert to market-rate rents. Many others may not receive necessary new capital investments for rehabilitation and renovation and could succumb to physical deterioration leaving them uninhabitable. Traditional solutions to housing instability are beset by insufficient resources and questions about tradeoffs between preserving the existing affordable housing stock and expanding it in ways that promote desegregation and access to opportunity. This report outlines these challenges. NLIHC and PAHRC used information from the National Housing Preservation Database (NHPD) and other sources to compile the findings in the report. The NHPD is a national database of federally assisted rental housing properties subsidized through HUD, USDA, and LIHTC programs. The NHPD gives stakeholders information on when and where affordability restrictions will expire. “These data are an important planning tool for local planners, policymakers, and housing professionals to better understand what resources are needed to preserve the affordable housing stock in their communities,” said PAHRC Director of Research and Industry Intelligence Keely Stater, Ph.D.
About NLIHC: Established in 1974 by Cushing N. Dolbeare, the National Low Income Housing Coalition is dedicated solely to achieving socially just public policy that assures people with the lowest incomes in the United States have affordable and decent homes. 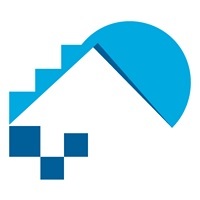 About PAHRC: The Public and Affordable Housing Research Corporation (PAHRC) at HAI Group is a non-profit research center dedicated to conducting research that promotes the national conversation about the importance of affordable housing. PAHRC spotlights the impact, outcomes, and value affordable housing brings to the families it serves and to the communities it supports, delivering data and tools that assist researchers, practitioners, and advocates to build an evidence-based case for why affordable housing matters.